This Goosecraft leather mens jacket is crafted from the leather quality Sheep California. This type of leather is washed and then heavily treated with a wax. Through the treatments the leather gets a used look on the edges. The imperfections give the leather mens jack charm and character. The leather mens jacket has a classic model with a modern look. 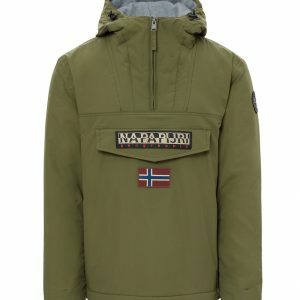 Because of the used appearance, the jacket creates a rebellious yet stylish appearance. 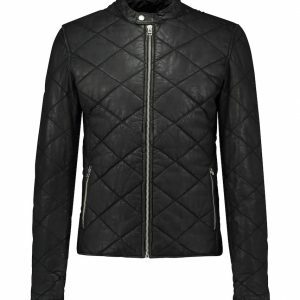 The leather mens jacket has a stitching pattern on the shoulders, upper arms and sides of the body. The leather jacket is fully lined with polyester. The Goosecraft leather mens jacket has a straight zipper and two side pockets.